Baton Rouge Area Credit Unions Raise Over $39,000 For The Kids! The 14th Annual Baton Rouge Area Credit Union Charity Golf Tournament was a great success last Monday, October 23 at Santa Maria Golf Course. Credit Unions and vendors from across the state joined together to raise funds and awareness for the new freestanding Our Lady of the Lake Children’s Hospital. This year’s tournament raised over $39,000 for the patients at Our Lady of the Lake Children’s Hospital! Thank you to all of this year’s sponsors and golfers! Last but certainly not least, we want to say a special thank you to the planning committee for the golf tournament: Danielle Guidry representing Baton Rouge Telco Federal Credit Union, Brian Ainsworth and Casey Coughlin representing Campus Federal, Garrett Ganucheau representing EFCU Financial, Brett Reynolds and Gary Labauve representing Neighbors Federal Credit Union, and Leigh Porta, Chelsea Gstohl, Rebekah Perna, and Alexis Roberts representing Pelican State Credit Union. If you would like to learn more about Credit Unions For Kids, please visit www.cu4kids.org. 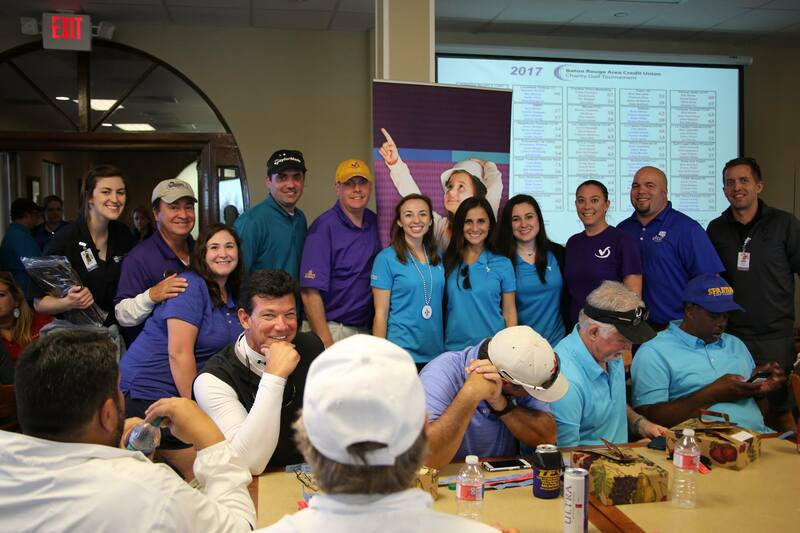 To see more pictures from the golf tournament, please visit Facebook.com/cucharitygolf. All proceeds from the Baton Rouge Area Credit Union Charity Golf Tournament are supporting the new freestanding Our Lady of the Lake Children’s Hospital which is set to open Fall of 2019. For more information, please visit letsbuildamazing.com. Previous post: How Badly Do You Want LSU to Beat Bama?